The Columbia Series 2200 Jet aluminum sliding patio doors is non-thermal break door is good for new construction or replacement renovation projects. 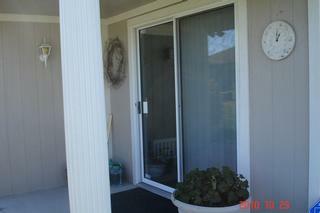 The Jet aluminum sliding patio doors is very energy efficient and brings a sense of security to your home. General: The Columbia 2200 Jet Aluminum Sliding Glass Doors shall meet or exceed the ANSI/AAMA 101-85 specification requirements for SGD-R25. Finish: For maximum resistance to corrosion sliding door frame and vent sections shall be painted bronze or white acrylic electrostatic enamel finish as specified. 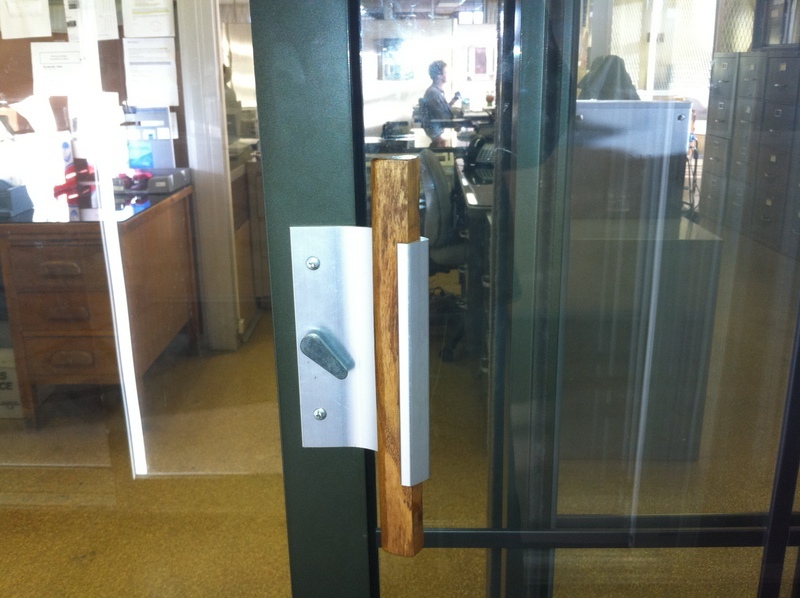 Hardware: The hardware used on Columbia’s sliding glass aluminum doors shall be of a non-corrosive material. The sliding vent panel shall be equipped with an adjustable locking device which will not permit the sliding vent panel to be locked automatically or permit damage to lock if sliding vent panel is closed with latch in locked position. A Stainless steel strike plate is furnished for the lock jamb where the lock latches to the jamb, giving an added dimension of security. 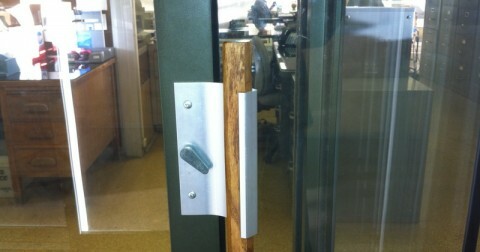 The outside pull and latch shall be easily adaptable for a cylinder lock, when specified (available at an extra cost). Glazing: All glass will be tempered (safety) glass. The fixed and sliding panels shall be constructed to allow either shop or field glazing with “virgin” vinyl glazing channel. The glazing channel with be furnished with the door for 3/16″ single glaze glass or 5/8″ dual insulated glass as specified. All insulated glass panels are marine type glazing with virgin vinyl glazing channels and welded corners to prevent water and air leakage. Erection: (included under another contract) These sliding aluminum doors shall be erected in prepared openings according to manufacturer’s instructions. All door frames shall be installed plumb, level, and square to allow proper functioning in regard to sliding, locking and weathering. All necessary screws shall be furnished by manufacturer. Certification: Columbia’s 2200 Jet Aluminum sliding glass doors shall conform to all requirements of the AAMA Certification Program. Guarantee: The sliding aluminum doors and components as represented are unconditionally guaranteed against defective material or workmanship for one year provided that the installation is in accordance with the manufacturer’s specifications and instructions.